The leather and footwear sector needs to develop supporting industry to reduce reliance on the import of raw materials, enhance competitiveness and boost high-value exports, said Deputy Minister of Industry and Trade Cao Quoc Hung. Hung made the statement at the Vietnam Leather, Footwear and Handbag Association (Lefaso)’s conference on December 26, saying that as a part of the rapidly-changing fashion industry, the leather and footwear sector must focus on developing an appropriate supporting industry, even though it would take significant time and resources. Hung said the Ministry of Industry and Trade would help domestic firms build a development strategy for the leather and footwear supporting industry and raise incentive policies in credit, technology and land for domestic producers, especially those of small and medium sizes. He urged the association to enhance links between domestic producers and the foreign-invested sector to help them participate deeply in the global value chain. The leather and footwear industry of Vietnam is still heavily reliant on raw material imports. The association’s statistics show that 60 percent of raw materials for the industry must be bought from foreign countries, as current production capacity of the supporting industry is modest. According to Hung, free trade agreements like the Comprehensive and Progressive Agreement for Trans-Pacific Partnership (CPTPP) and the EU-Vietnam Free Trade Agreement (EVFTA) were widening doors for Vietnam’s footwear exports. However, the sector must focus on developing the supporting industry together with using advanced technologies in production to enhance competitiveness, cope with technical barriers to trade and boost exports, Hung stressed. 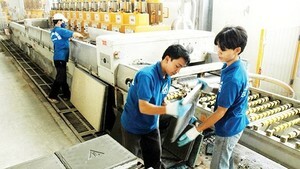 Phan Thi Thanh Xuan, Lefaso’s secretary general, said the gap between the foreign-invested sector and the domestic sector was narrowing, citing the association’s statistics that the export share of the domestic sector increased from 19.5 percent in 2016 to 21.2 percent in 2018. The sector’s exports in January-November reached 17.68 billion USD, a rise of 8.4 percent over the same period last year, and poised to reach the target for the full year of 19.5 billion USD, Xuan said. 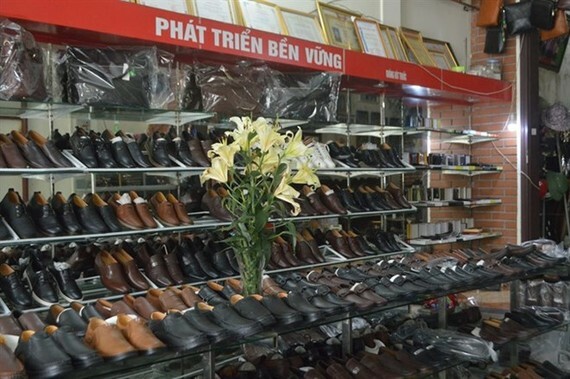 Vietnam came only after China in footwear exports, the association said, but added that average export prices of Vietnam was 15 USD each pair, 1.6 times higher than China’s average prices. Xuan said the association was optimistic about the development of the sector in 2019 as the demand of major export markets, like the US, EU, China, the Republic of Korea and Japan remained high. In addition, the CPTPP and EVFTA and the US-China trade war would create opportunities for the leather and footwear industry to boost exports. The association forecast that footwear and handbag exports would maintain a growth rate of 10 percent in 2018 to reach revenue of 21.5 billion USD.